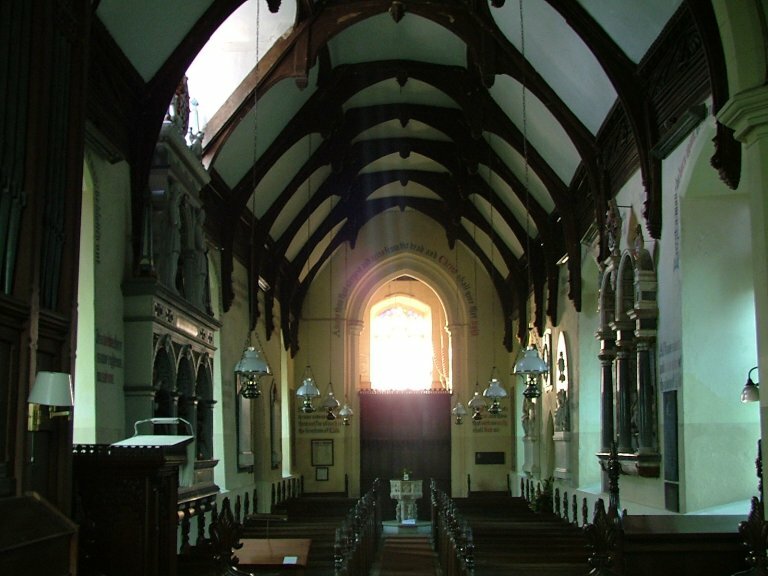 If you don't know the setting of St Mary, you will be in for a surprise. The lattice of lanes to the north of Suffolk are pleasant enough, but this is commuterland really, and it isn't much of a pleasure to cycle them. The fields tend to be open and bleak, especially around Ashbocking, and the old farm houses tend to be converted, and no longer retain their rural use. 4x4s and Volvos sit outside. I am afraid that I think of this area as the one where the architects and solicitors live. 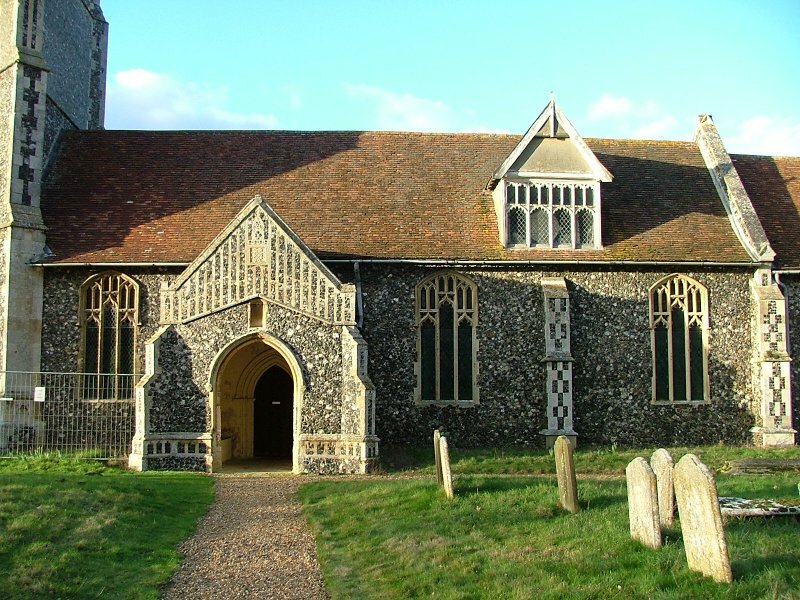 But St Mary is that rare thing in Suffolk, an estate church. 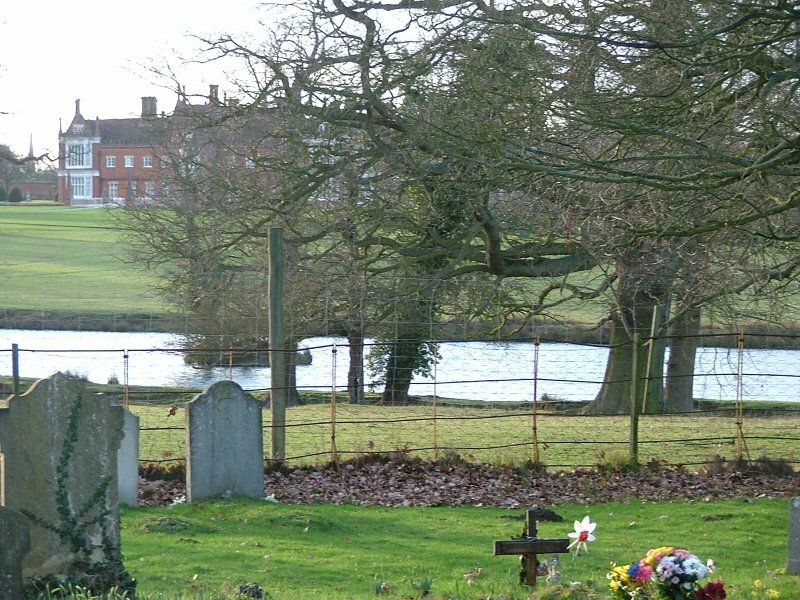 At the west end of the graveyard is a large ornamental lake; a herd of deer graze among the trees beside it, and beyond that is the splendid pile of Helmingham Hall, home of the Tollemache family for, ooh, generations. They were living here in the 15th century, and it was John Tollemache who signed the contract for the tower in 1488 - it survives in the Bodleian Library. 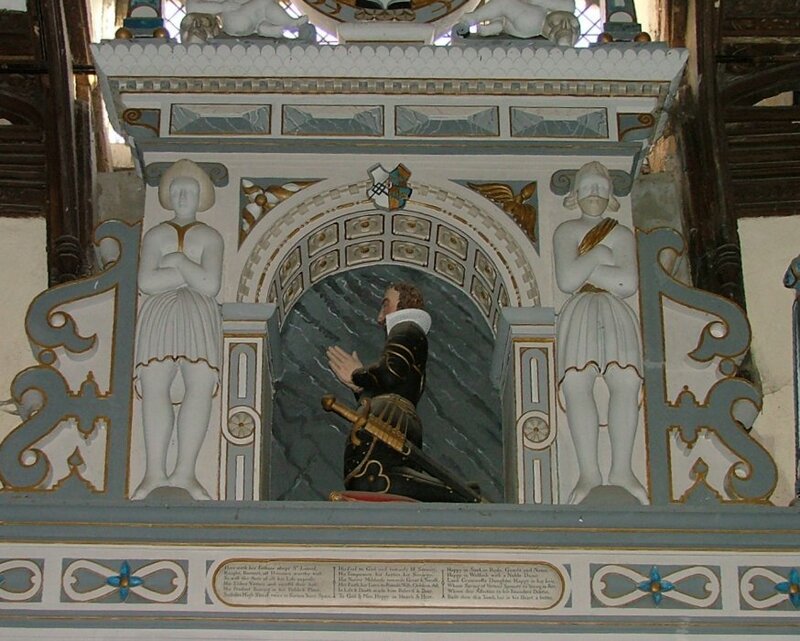 The Tollemache arms and Marian symbols decorate it, and along the bottom is the outrageously Catholic inscription Scandit Ethera Virgo Puerpera Virgula Jesse ("The Virgin Mary, branch of Jesse's stem, is assumed into Heaven"). This is somewhat at odds with the date of 1543 on the parapet, when such a sentiment would probably have led to a visit from the local thought police, but in fact the date merely refers to the addition of battlements by Lionel Tollemache that year. 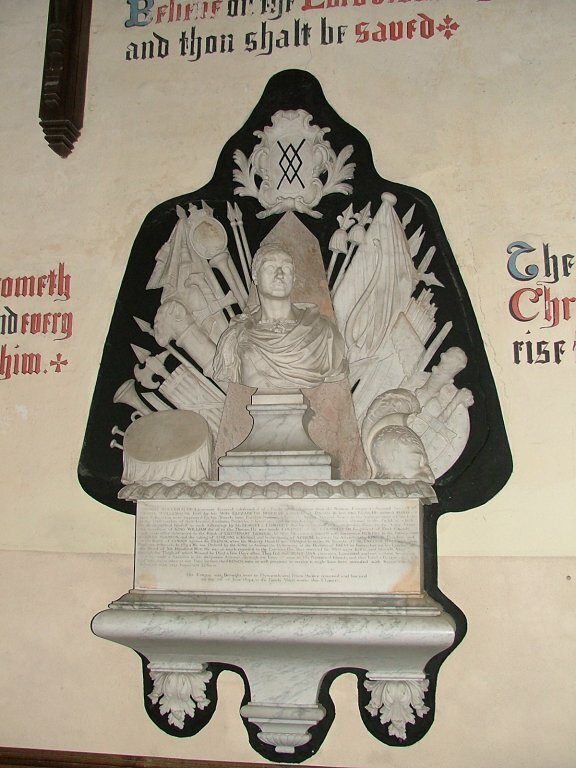 The survival of the inscription may well be a result of the influence of the Tollemaches, but suggests that the late medieval dedication of this church was probably to the Feast of the Assumption. Apart from the beautiful tower, the most striking feature is what appears to be a dormer window to the rood along the south side of the nave. 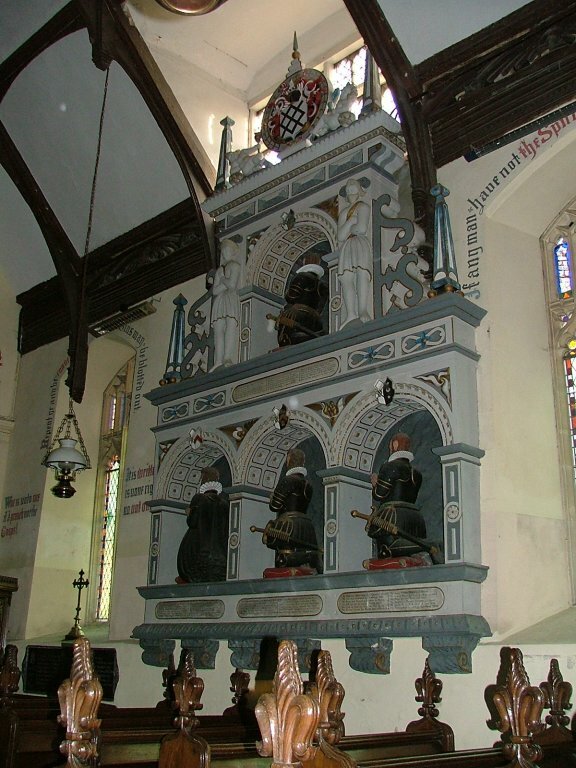 These exist at St Nicholas in Ipswich, and you might think this is something similar. In fact, it isn't. 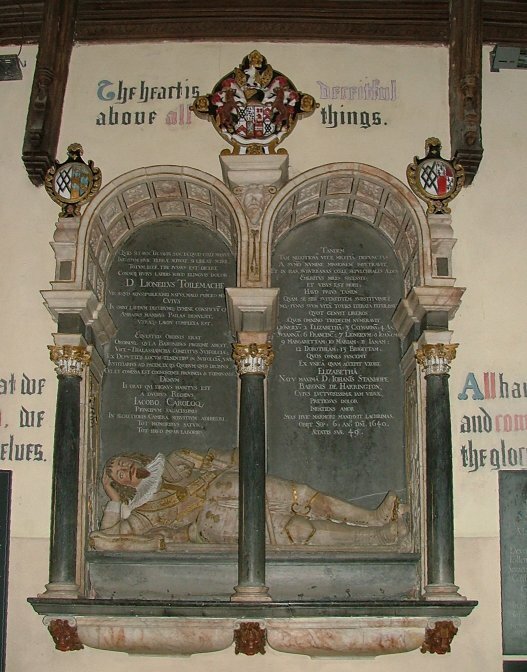 It was installed after the Reformation to accomodate a very large memorial moved here from the church at Bentley, the Tollemache family's other seat. 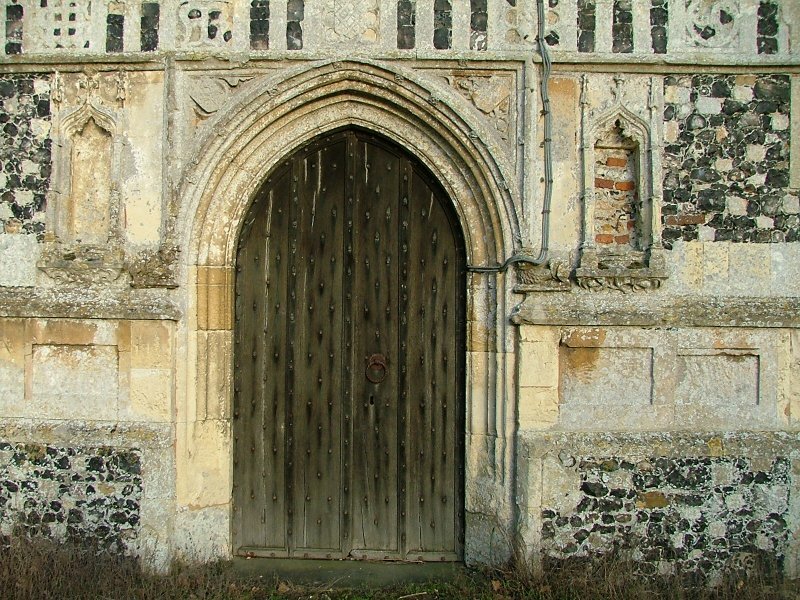 And this is the key thing about this building today; it memorialises more than any other Suffolk building the dead of a single family. 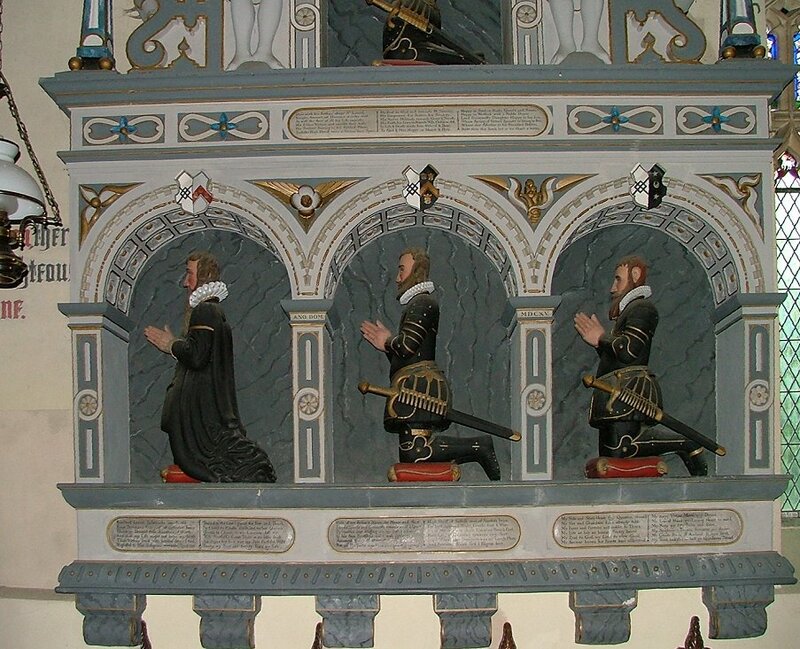 You step inside, and are surrounded on all sides by elaborate Tollemache memorials. You can see them all below; hover to read who they are, and click to see them enlarged. Looking at these memorials (and you simply cannot tell from these pictures the extent to which they dominate this relatively small building - the one to four Lionels is fully 20 feet high) you will also be struck by the biblical quotations that line the walls and fill every available space. 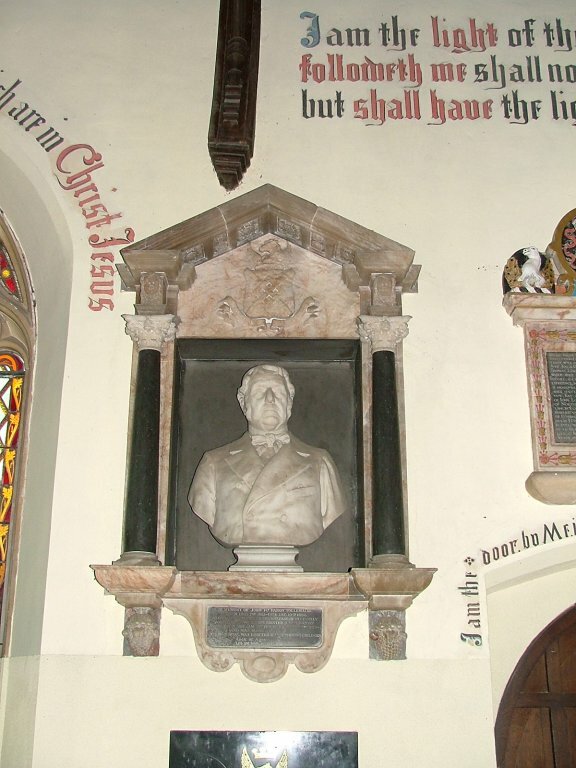 They are the work of one of the major figures of 19th century evangelicalism, John Charles Ryle, first Bishop of Liverpool. 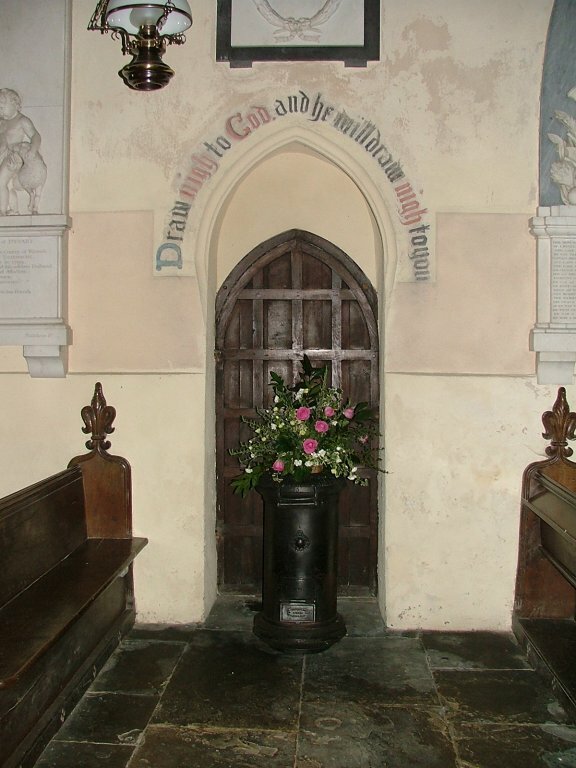 He was Vicar here early in his career, before taking his muscular Christianity onto Stradbroke (where his enthusiasm for graffiti was toned down a bit) and then his episcopal seat. A tireless worker, he combined writing and campaigning on a national stage with visiting the poor and sick of his parishes. 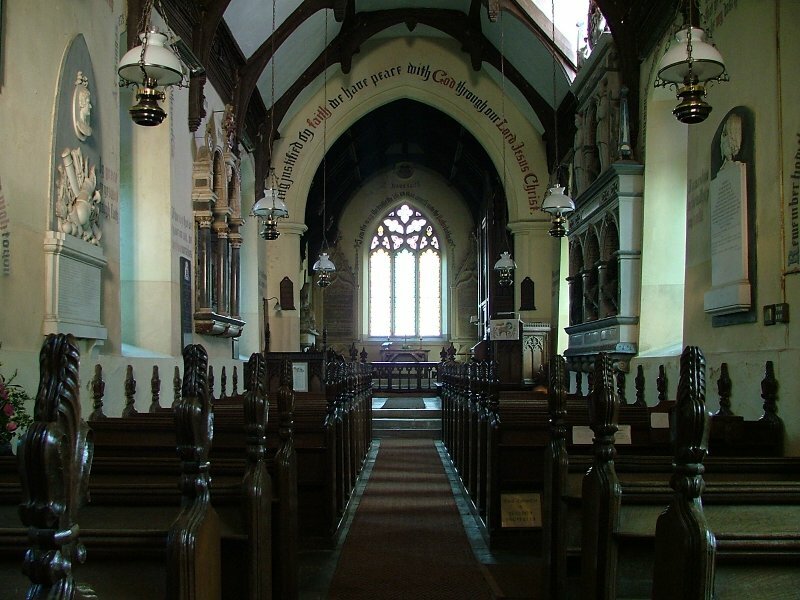 It is worth noting that, at the time of the 1851 national census of religious worship, when barely 20% of the population in this part of England were attending their parish church, Ryle could claim an average Sunday afternoon attendance of 240 out of a parish population of 287. By contrast, neighbouring Pettaugh, with almost exactly the same population, could manage barely 90, and even this is good in comparison with some parts of Suffolk. 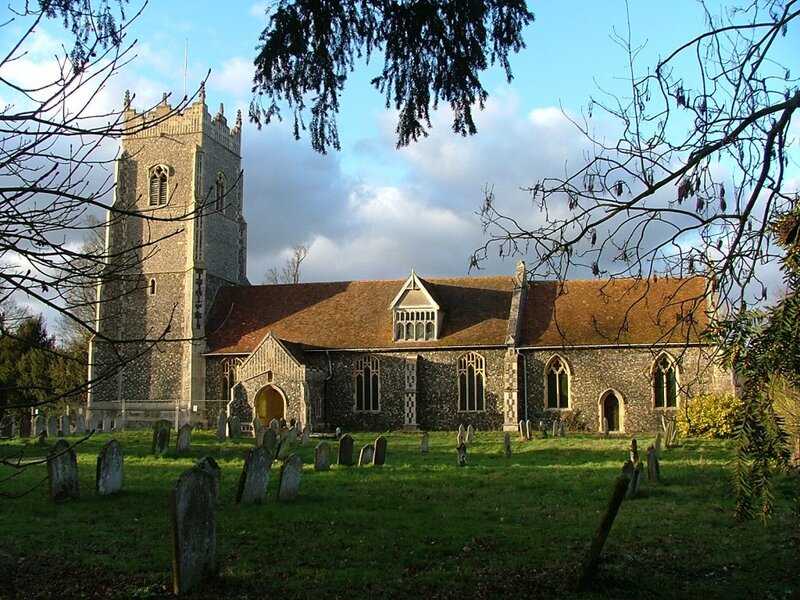 In addition, Holy Communion was celebrated here at Helmingham more than in any other Suffolk parish, at least 14 times a year, and 45 parishioners communicated; very few other Suffolk parishes, even those twice as big, could manage double figures. Ryle was an advocate of that strand of national Anglicanism that was later subsumed by the Oxford Movement when it moved into the mainstream, but he would not have approved of their ritualist ways. 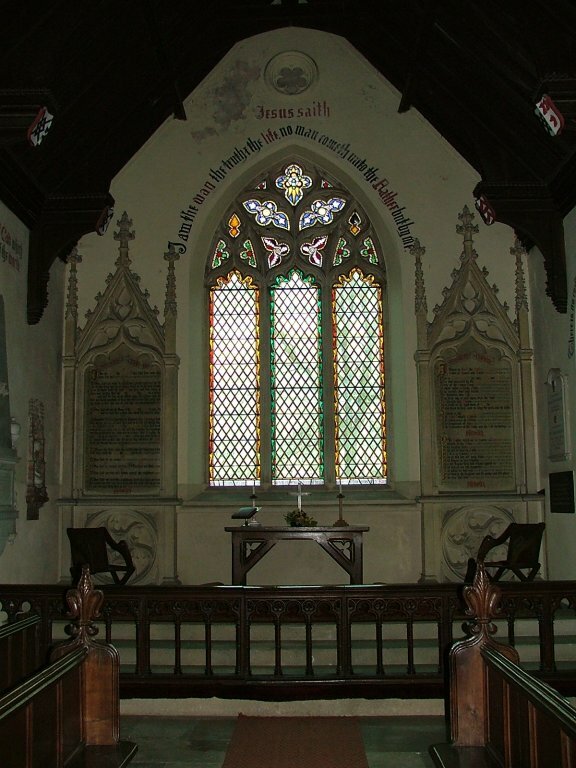 The simple table at the west end of the nave is the one that he gave for celebration of Communion (the current altar here was brought from the now redundant church at Southolt). His sloganeering is in such abundance that it must have provided something of a distraction. 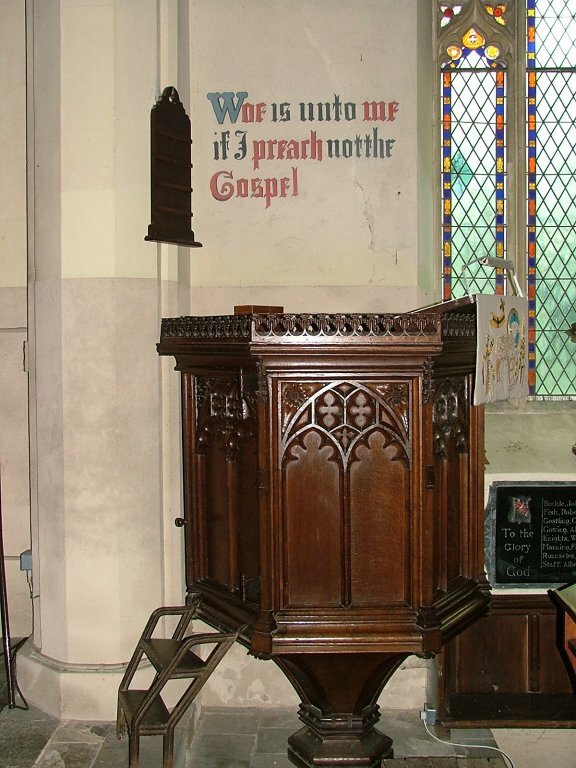 Perhaps he was deliberately countering the Tractarian tendencies of the Tollemache family, but the quotes selected seem as much a warning against the liberalism of future incumbents; my favourite, above the pulpit, reads Woe is unto me if I preach not the Gospel. That must concentrate the minds of preachers a bit. 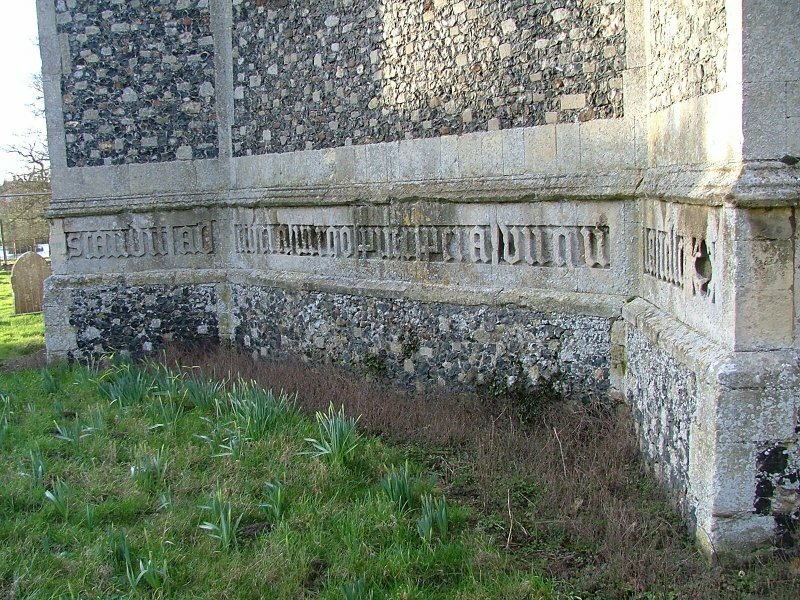 Looking around at the Tollemache memorials, you might be struck by how many of them died relatively young, and in tragic circumstances. 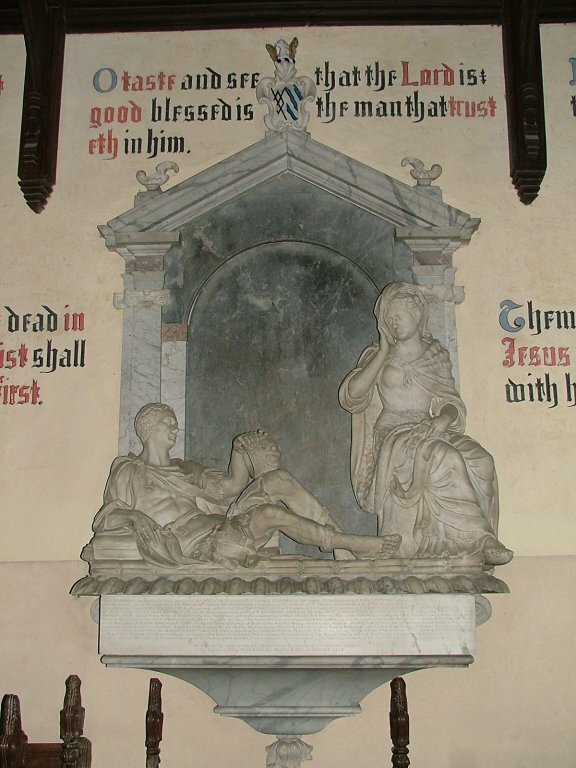 One of the Nollekens memorials above remembers not just an 18 year old killed at the siege of Valenciennes, but his father killed in a duel in New York and two uncles lost at sea. The inscription reads So many instances of disaster are rarely to be met with in the same family! 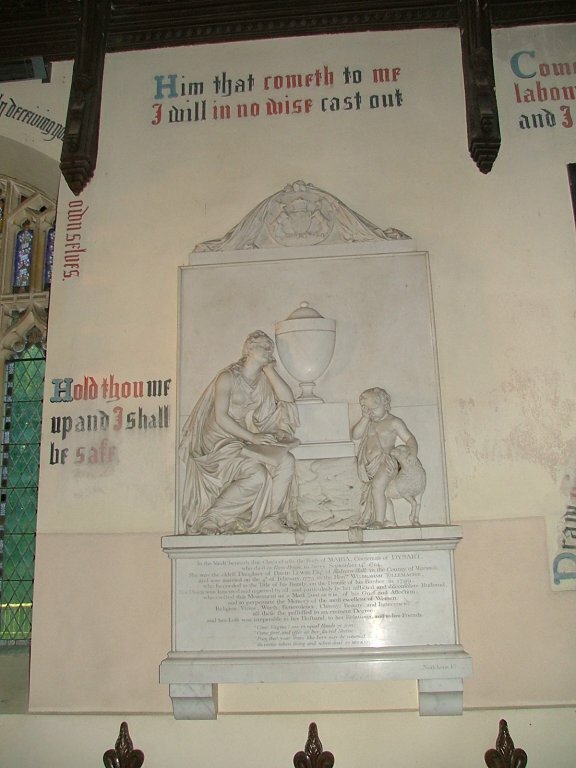 And don't miss the village war memorial in the south wall; in the Second World War, the Tollemache family lost no less than four of its sons. 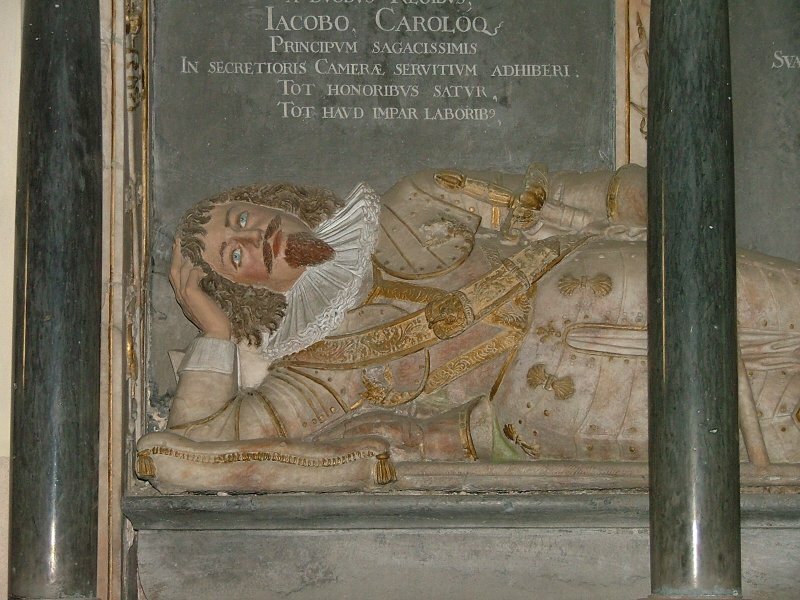 So the family has a reputation for being unlucky, but when I suggested this to the present Lord Tollemache he shook his head, and observed that he considers his family very lucky indeed to have had the privilege of living in the same beautiful house, and farming the same land, for hundreds and hundreds of years. 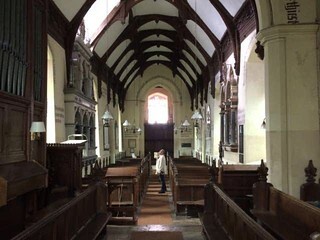 Finally, and for the benefit of any search engines that might pick it up, can I just confirm that this is the church used in a recent Only Fools and Horses Christmas Special, so will people please stop writing to me to ask if I know which one it was. Somewhat surreally, and thanks to the magic of television, Delboy and Rodney stepped west from the tower down onto a beach - if you think about it, you'll realise quickly that it is quite impossible to do this anywhere at all on the Suffolk coast.